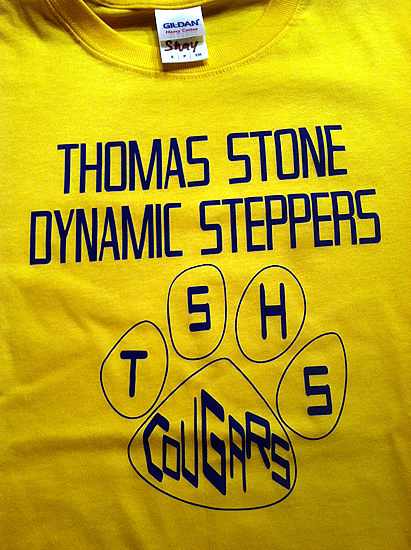 I did a rush job for the Thomas Stone Dramatic Steppers. They wanted their logo on yellow tees so I used Ultra Cotton tees from Gildan. Then, I decorated them with Stahl’s Premium Plus vinyl in Royal Blue.